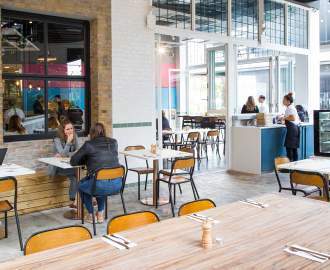 When Little Big House opened its doors, it did so with a strong parmigiana game. The South Bank pub's chicken parmy spring rolls quickly proved worth a trip alone, because some unlikely food combos really are as great as they sound. 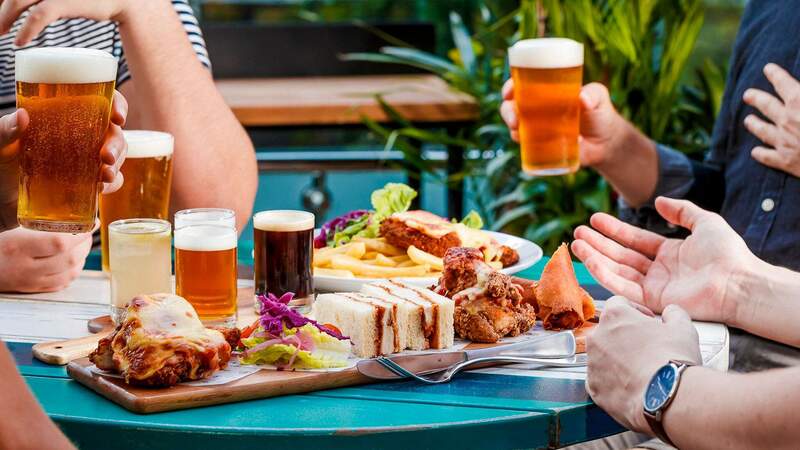 Plenty of Brisbanites have paired the dish with plenty of beers as a result; however adding a few other parmy delights — and a few more brews — is on the menu come April. Every Sunday, the watering hole will be slinging Parmy and Paddle Degustations, so you'd best prepare your tastebuds. Available all day each Sunday — that is, on April 7, 14, 21 and 28 — this four-course feast will set parmy-lovers back $48. It'll also soak your stomach in oh-so-much chicken and tomato, as well as a different 4 Pines beer with each round. Kicking off the meal with a classic, it all starts with a good ol' chicken parmy with a Pacific Ale. Next, you'll tuck into those chicken parmy spring rolls with a Brookvale Union Ginger Beer, and savour the unusual flavour combo. Third on the lineup is a parmy katsu sando, which comes with a Cold Brew Coffee Kolsch. Then, finishing up the degustation, you'll munch on some chicken parmy wings while downing a Pale Ale. If you dream of parmys afterwards, you'll know why.